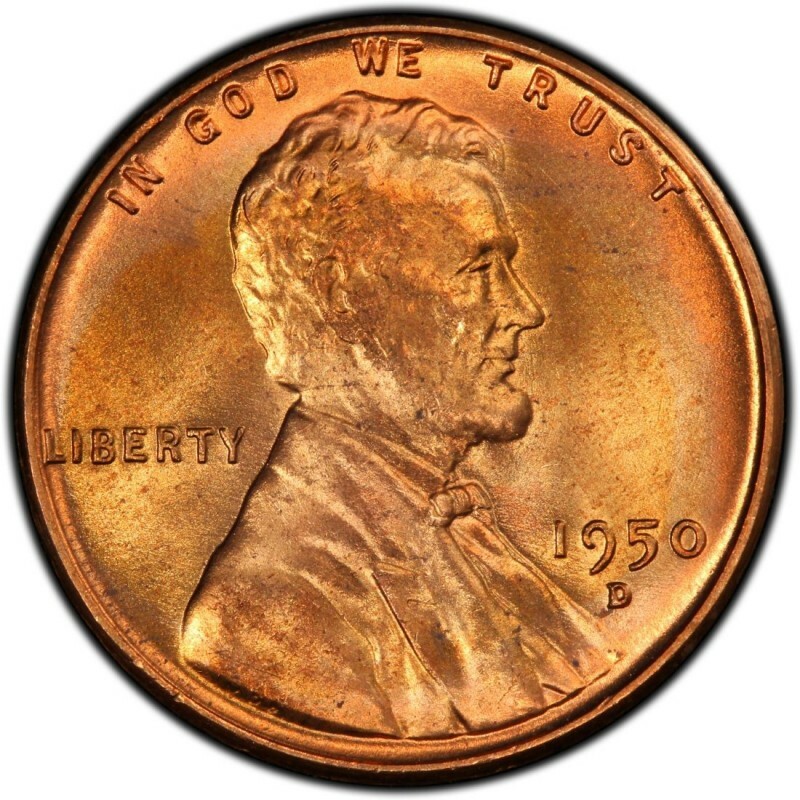 Beginning with 1950, Lincoln Wheat Pennies entered their sixth – and final – decade of production. 1950 Lincoln Cents are highly common since more than half billion were made that year. Specifically, 272,635,000 were struck at the Philadelphia Mint (no mintmark), 334,950,000 were made at the Denver Mint (D), and 118,505,000 were made at the San Francisco Mint (S). However, for the first time since 1942, business strike wheat cents were not the only ones made. After a seven-year hiatus, proof versions of the Lincoln Cent returned, as did United States proof sets as a whole. 1950 Lincoln Wheat Pennies are not particularly difficult to find and not very expensive, thanks to their high production figures. While you may find 1950 Pennies for face value in circulation (as many can still be found in pocket change and bank rolls), you could easily buy circulated examples for about 10 cents each. Or, you could spend about $5 and buy a beautiful, Mint State example to complement a high-end Lincoln Cent set. As for proof issues, expect to pay between $50 and $75 for a 1950 proof Lincoln Cent, but try to avoid hazy or spotted specimens if you can. Many brilliant proof 1950 Pennies exist, though they may don a price tag with a figure upwards of $100. 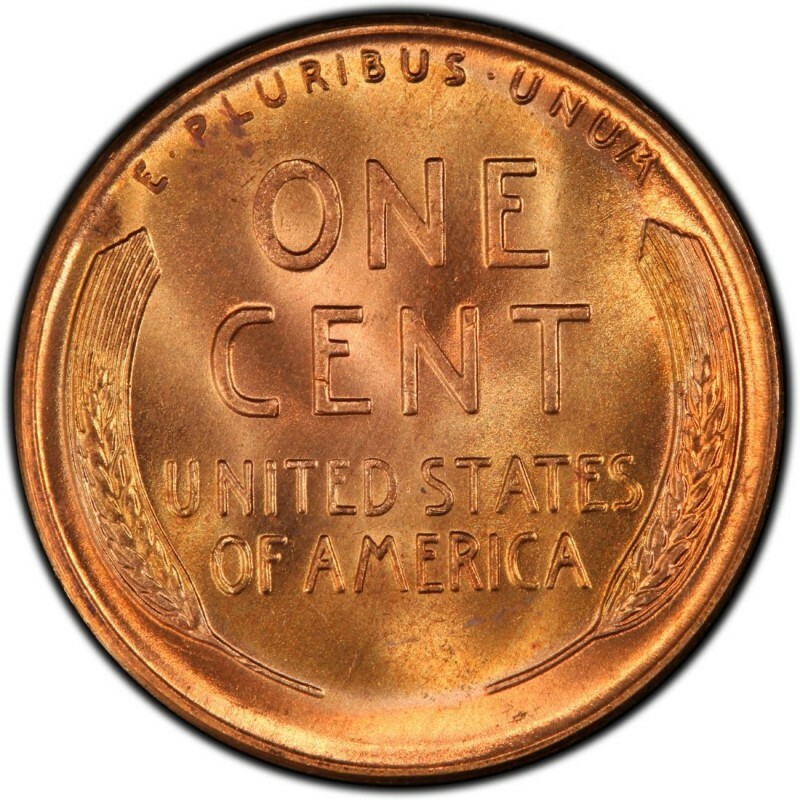 As for all Lincoln Wheat Pennies, always buy the best that you can afford and you will surely be pleased with your purchase for years to come.